Since four generations in Southern Germany. Width 50 mm to 360 mm. Thickness 0.8 mm to 2.41 mm. All popular designs and tooth shapes are quickly available to you at all times. Due to our large inventory of the best raw material, there are no bottlenecks. Width 32 mm to 50 mm. Thickness 0.8 mm to 1.2 mm. We give precision the finishing touch. Being a machinery OEM, we always know exactly what is expected of us. Because of that, we work hard at still getting a little better every day. Width 6 mm to 40 mm. Thickness 0.36 mm to 0.8 mm. Our unique Thermex procedure ensures more elasticity, longer lasting tension and better resilience of the band saw blades. 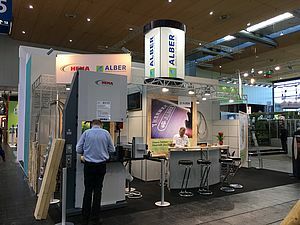 The Thermex technology from Alber. 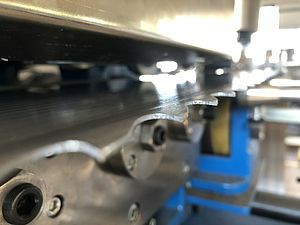 Unique manufacturing procedure for band saw blades due to special thermo-mechanical treatment. Width 10 mm to 25 mm. Thickness 0.45 mm to 0.6 mm. 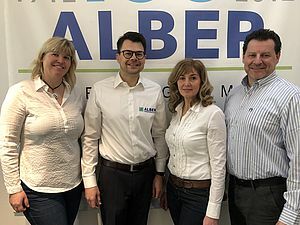 With its 100 years of history, Alber Trennwerkzeuge GmbH is one of the producers in Germany with the most traditions when it comes to manufacturing band saw blades. The spectrum of offered tools used to cut materials like wood, metal, food and foam ranges from handicraft businesses to fully automated industrial facilities these days. The high quality standard and high efficiency are always the focus in that context. Today, the company is managed by the fourth generation and stands for an innovative future.